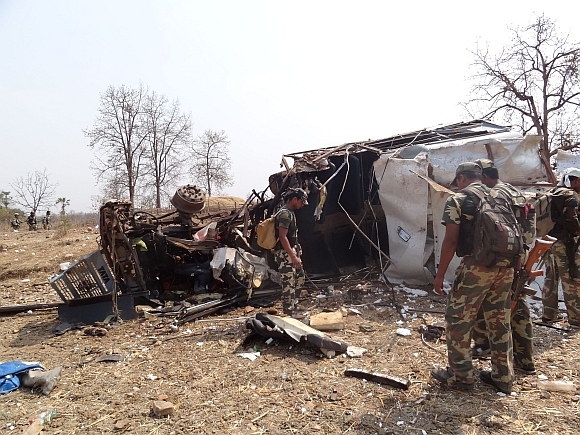 In a major Naxal attack, 12 Central Reserve Police Force personnel were on Tuesday killed and 28 others injured when the ultras triggered a landmine blast in Gadchiroli district of Maharashtra. A total of 40 troops were travelling in a bus from Pushtola to Gatta, about 4 kms from here, for an operational duty when at around 11:30 am the blast took place, killing 12 of them. Making a brief statement in Maharashtra Assembly, state Home Minister R R Patil said 12 CRPF personnel were martyred in the blast and 28 others wounded. 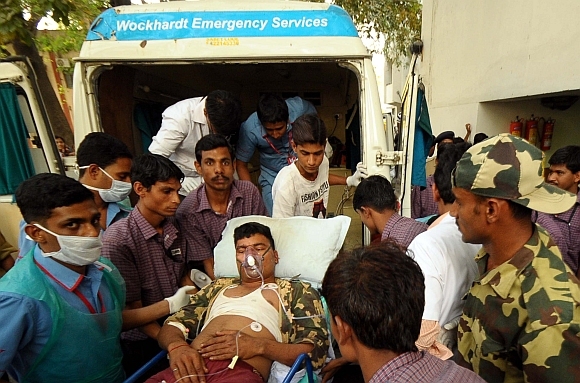 Of those injured, eight seriously wounded jawans were airlifted to Nagpur where they have been admitted to Wockhardt Hospital, Patil said, adding the rest were undergoing treatment at the Civil Hospital in Gadchiroli. 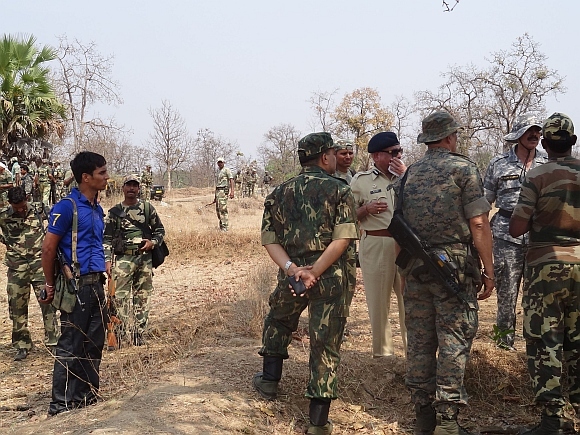 The daring daylight Naxal attack came even as CRPF chief K Vijay Kumar was on a tour of Maharashtra and was in Gadchiroli area. Shortly after the blast, Kumar spoke on telephone to Union Home Secretary R K Singh in Delhi and briefed him about the incident, CRPF officials said. Two helicopters were pressed into service for evacuating the troops to the hospitals, the officials said. A CRPF reinforcement team besides men from the Maharashtra's anti- Naxal force were rushed to the attack site. Patil told the Assembly that the CRPF chief as also DIG of Maharashtra's anti-naxal force V D Mishra visited the scene of the blast and also met the injured personnel in hospitals. He said the authorities were looking into the reasons that led to the unfortunate incident. "We are inquiring into what actually happened...whether proper security procedure was followed," the minister said. Earlier, reports reaching the CRPF headquarters in New Delhi had put the number of dead at 15, the officials said. The troops involved in the incident were from the 'D' company of the 192nd battalion of the force which is deployed in Gadchiroli area. Combing operations by the security forces in the area have begun, the officials said. 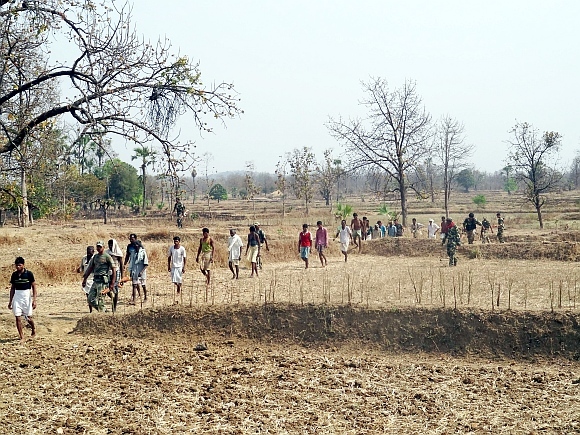 According to an RTI reply, Naxal violence has claimed the lives of a total of 10,268 people, including security personnel, between 2005 and May 2010. As many as 2,372 deaths were reported in 2009 as against 1,769 in 2008, 1,737 in 2007, 1,999 in 2006 and 1,952 others in 2005. 439 people were killed between January and May 2010, it said. Eighty-three districts in nine states -- Andhra Pradesh, Bihar, Chhattisgarh, Jharkhand, Madhya Pradesh, Maharashtra, Orissa, Uttar Pradesh and West Bengal -- have been identified as Naxal-hit, the RTI reply said. 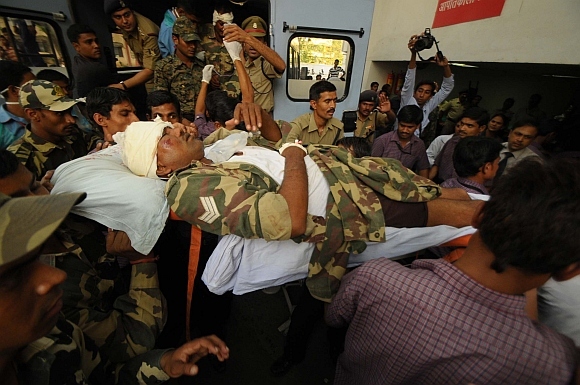 In a Naxal strike, 75 CRPF personnel were killed in Dantewada district of Chhattisgarh on April 6, 2010. A CRPF jawan was killed and another injured in an encounter with Naxals in Chhattisgarh's Sukma district on Monday.